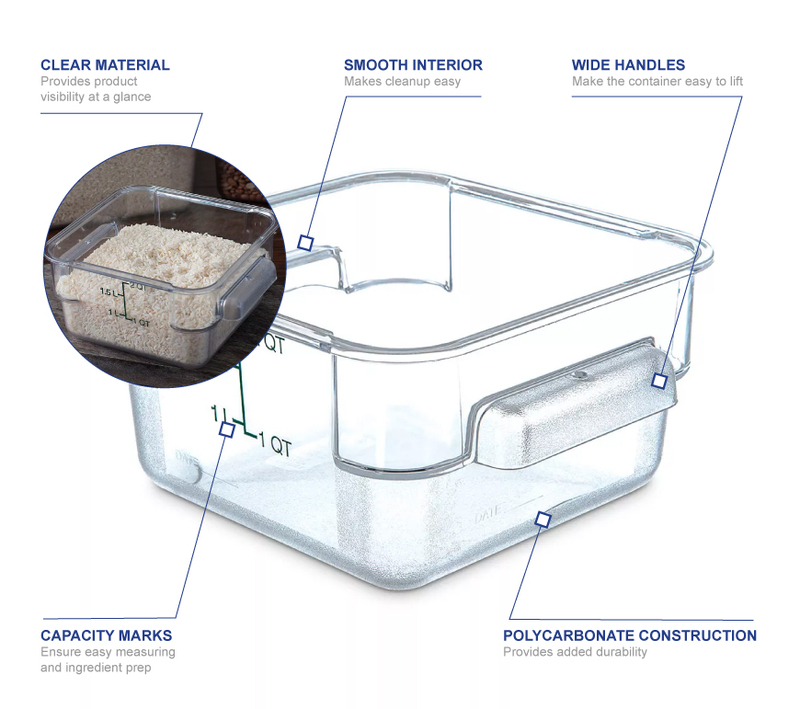 The Carlisle 1072007 StorPlus™ square container has a spoonable bottom to ensure utensils can reach all the product. Since it has a smooth interior, the pan is easy to clean. A textured finish on the handles, corners, edges, and bottom offer a secure grip and adds strength. 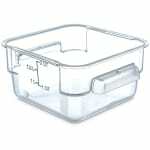 Made of polycarbonate, the container is durable and stain resistant. The clear material provides product visibility, while the date label provides a place to indicate the storage date for convenient inventory. 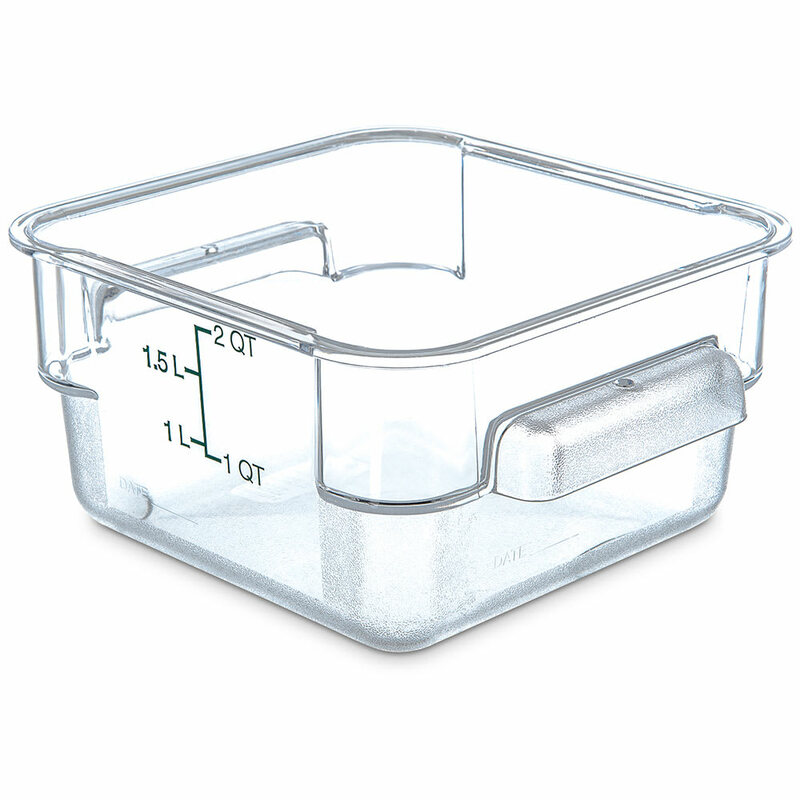 The Carlisle 1072007 StorPlus square container has a 2-quart product capacity with indicators that enable users to easily portion, measure, and prep ingredients. Lugs are built into each corner of the dish to provide strength and prevent jamming when stacked.